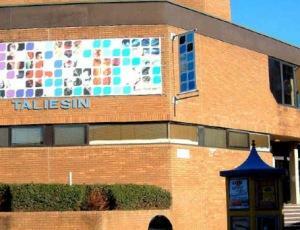 Taliesin Arts Centre Arts CentreThe emphasis here at Taliesin is on quality and innovation - providing a vital service to both students and the people of Swansea and acting as a regional centre of excellence. As well as events within the building, recently, thanks to increased funding from the Wales Assembly Government and the Arts Council of Wales, we have begun to take our productions outside of the theatre, holding Dance Days, an annual festival in the city centre, and touring our own productions and co-productions to other venues across Wales & beyond. First opened in June 1984. Taliesin is named after the 6th century Celtic bard of the same name. The emphasis here at Taliesin is on quality and innovation - providing a vital service to both students and the people of Swansea and acting as a regional centre of excellence. As well as events within the building, recently, thanks to increased funding from the Wales Assembly Government and the Arts Council of Wales, we have begun to take our productions outside of the theatre, holding Dance Days, an annual festival in the city centre, and touring our own productions and co-productions to other venues across Wales & beyond. Taliesin also houses the Egypt Centre, a museum of Egyptian antiquities accredited by the MLA. Click here for further information about this free attraction. A4067 Mumbles Road west out of Swansea and turn right where signed for the University and Taliesin.